Oakland → News → City of Oakland and BACS Officially Open "The Holland"
City of Oakland and BACS Officially Open "The Holland"
Oakland, CA—Mayor Libby Schaaf was joined today by representatives from Bay Area Community Services (BACS), Kaiser Permanente, and Anthem Blue Cross Foundation to officially unveil “The Holland,” Oakland’s second rapid re-housing facility which begins welcoming residents from nearby encampments into a new temporary supportive home this month. In addition to a detailed tour of the newly renovated and repurposed building, Angela Jenkins from Kaiser Permanente and Kreshenda Jenkins from Anthem Blue Cross Foundation highlighted the significant investments their organizations are making in support of the City’s ongoing work to end homelessness. 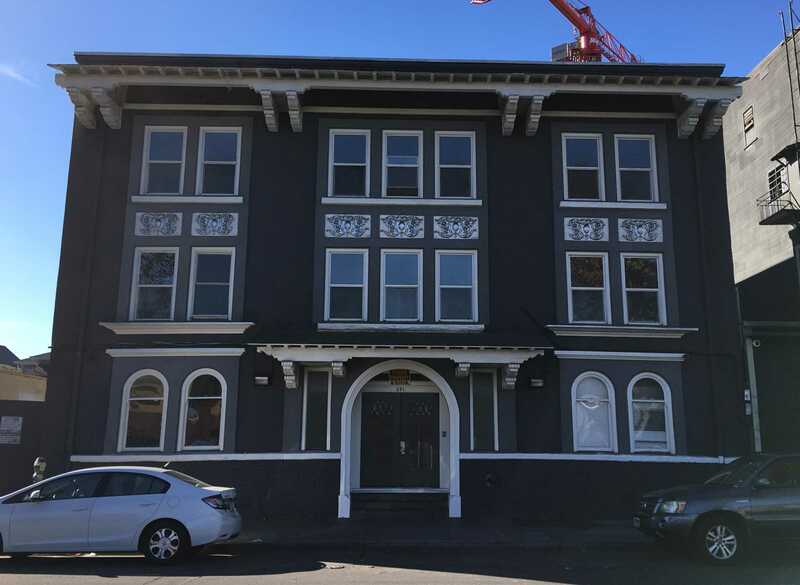 When the City of Oakland received the keys to The Holland in late October 2018, it marked a significant expansion to the current housing and homelessness services available in Oakland. This month, the facility will begin welcoming new residents until all 90 beds are occupied. Kaiser Permanente recently announced several initiatives that will improve community health by creating stable housing for vulnerable populations. One of those efforts included a $3 million contribution to the City of Oakland for the Holland. The investment is part of a larger effort Kaiser Permanente is undertaking which includes an initiative to end homelessness for more than 500 individuals in Oakland residents. Kaiser Permanente recognizes that housing security is a critical heath issue. Without a safe, stable place to live, it is nearly impossible to maintain any health improvements achieved in a medical setting. “Public-private partnerships are critical to solving homelessness in our communities. Homelessness and the factors that contribute to it are very complex. This why we invested in the Holland and continue to work with city, county, and community leaders to end homelessness for Oakland residents,” said Yvette Radford, vice president of External and Community Affairs for Kaiser Permanente Northern California. As a key support to the incoming residents at The Holland, Anthem Blue Cross Foundation is making a $245,000 investment in community solutions to homelessness, providing a significant grant to BACS to support the health and wellness of each individual who moves off the streets and into The Holland. Their investment will ensure that residents will have access to a hot and nutritious meal every day, health and wellness groups, and supports for long-term health through individualized wellness plans. BACS, who is contracted through the City of Oakland to provide innovative housing services to residents has officially started to move community members into “The Holland,” and will continue to move people in until all 90 beds are full. Homeless, single adults, aged 18 and older, are eligible for the program. With 70 units, the facility can assist about 90 individuals at a time, or between 150 and 180 residents per year. The City of Oakland owns the site at 641 West Grand Ave, a three-story Arts and Crafts style residential hotel historically called Hotel Holland, designed by famed local architect Julia Morgan and built in 1906. The building was purchased through funds from the Measure KK infrastructure bond. In the past decade, the Bay Area added one unit of housing for every eight jobs created, and very little of the housing built was subsidized enough to help people in need. While the homeless population is rising, the federal government decreased its financial support for emergency shelter strategies, and the State eliminated redevelopment funding in 2011, which was the primary funding source cities used to build affordable housing. California alone accounts for 25 percent of the nation’s homeless population. Between 2015 and 2017, the number of unsheltered residents in Oakland increased by 26 percent. The last point-in-time count, conducted in January 2017, estimated that there are 2,761 homeless people in Oakland, of whom 1,902 are unsheltered. Details and demographic information can be found at EveryOne Home. The next Homeless Count is on January 30. To volunteer to assist with the count, visit http://everyonehome.org/.